Life's a Beach | Expat Life in Playa del Carmen : Affordable 3 Bedroom Home for Sale! 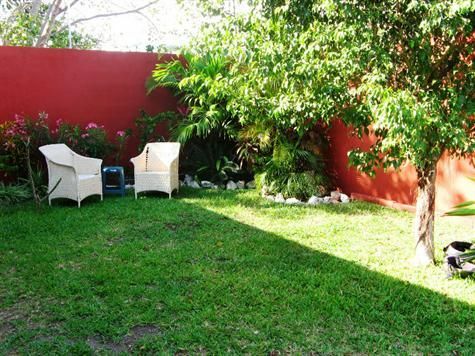 Playa del Carmen - Don't overlook this charming three bedroom home for sale in Playa del Carmen. If you have been renting a house or condo and have been searching for an affordable home for your family, this could be just the opportunity you have been looking for. This lovely home is being sold by a family who after many happy and successful years in Playa del Carmen has decided to move to Canada. (Brrr.) They have sold their business and are now ready to say goodbye to this lovely house and make the big move north! The house is located on the west side of the highway in the Ejido in a quiet and safe local neighborhood. It is close to both Constituyentes and Ave. 115 providing quick access to downtown Playa and all routes north and south of town. The mall, Plaza las Americas, and the new Super Walmart are both just a few minutes away as are dozens of wonderful local restaurants. This single story home has an spacious open floor plan with a modern kitchen, dining area and living room. The home has three bedrooms, the master having its own ensuite bath. Outside there is a patio and garden with enough space to keep a kitchen garden and perhaps a few chickens for fresh eggs. The current owners have added a fixed gas tank on the roof, a hot water tank and a water pressure pump for added comfort. With 120 meters of construction and plenty of outdoor living space in the walled in garden, this is the perfect house to raise a family with room to grow. A second level could easily be added to create more space as your family expands! Electronic gates control access to the property and there is secure parking for two cars inside the lot. If you have been living in Playa for a few years, you know that good long term rentals are becoming harder and harder to find and increasingly expensive. This home is being sold for just $139,000 USD. To purchase a three bedroom home in Playacar will cost twice as much. This could be just the opportunity you have been waiting for. Give us a call at 984-115-4611 and schedule a few minutes to come and see the house, check out the location and see if it is a fit for you and your family.